White Gold Rhodium Bonded with Marquise Assorted Color Stones, Dangle Style Earring in Silvertone. 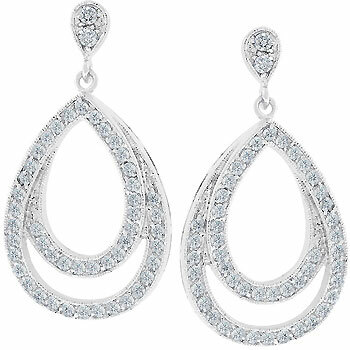 White Gold Rhodium Bonded Round Cut CZ Channel Set in a Teardrop Design Drop Earrings in Silvertone. Silver tone and brilliant clear stones give these drops a very contemporary look. White Gold Rhodium Bonded to .925 Sterling Silver Drop Earrings with Shell Pearl in Silvertone. 14k Matte Gold Bonded Dangle Earrings with Matte Gold Discs in Goldtone. White Gold Rhodium Bonded Eternity Hoop Style Earring with Round CZ, 5 ct Total in Sterling Silver. 14k Gold Bonded Hoop Earrings with Milligrain Accenting Around Prong Set Clear CZ in Goldtone. White Gold Rhodium Bonded Hoop Earrings with 2 Rows CZ and Snap Clip Backing in Silvertone. For Pierced Ears. 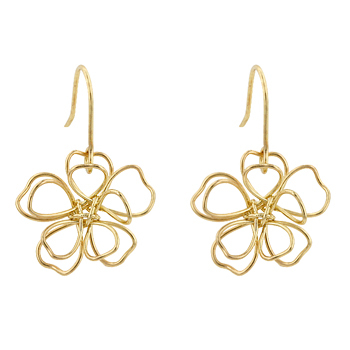 14K Gold Bonded Floral Wire Earrings with Fish Hook Backing in Silvertone. 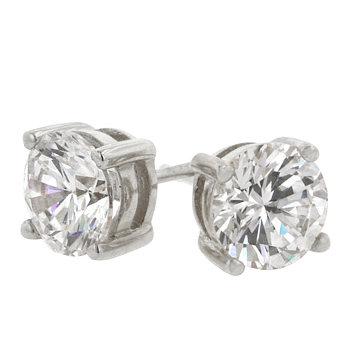 White Gold Rhodium Bonded .925 Sterling Silver Princess Cut Clear Studs 7mm Round CZ Earrings in Silvertone. 14k Gold Bonded .925 Sterling Silver with 6mm Stud Earring, 2.0 ct Total in Goldtone. White Gold Bonded over .925 Sterling Silver 6.25mm 3A Grade Prong Set Round Cut Clear CZ Stud Earrings in Silvertone. 14k Gold Bonded over .925 Sterling Silver 6.25mm 3A Grade Prong Set Round Cut Clear CZ Stud Earrings in Goldtone.